It's hip to be square when it comes to this bold ring. 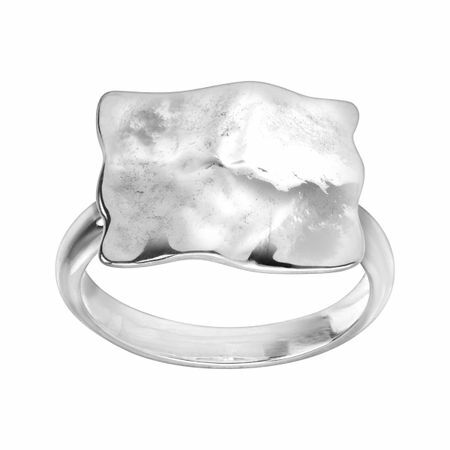 A textured, square-shaped piece sits atop a sterling silver band, making this piece basic enough to wear with other rings yet bold enough to hold its own. Ring face measures 1/2 inches in width.